From the time of charter in1913, Reid’s Corners Women’s Institute dedicated its resources to health issues. Donations were made to the local hospital as well as to many others across Ontario. By 1944 a total $473.67 had been raised for this initiative. In 1931 the work included adopting the Ward at Kincardine Hospital, formerly supported by the IODE, and maintaining it for three years. Lunch time at meetings became Hospital Teas at least four times a year. 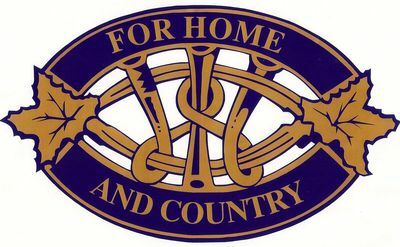 Proceeds from these events as well as showers and various special events provided for the needs of the Ward which according to a plaque at the door was known as the Reid’s Corners WI Ward. A program from 1960 indicates that Hospital Teas were still regular events in 1961 and each year the branch continues to set aside funds for hospitals in Kincardine and Wingham. 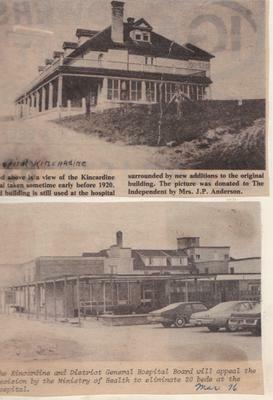 Kincardine Hospital as it first appeared then some 50 years later as Kincardine and District Hospital. It is now of South Bruce Grey Health Services. Pictures taken from Tweedsmuir History.